Two days back, I landed in my hometown Pune around 2 PM, after an absence of almost a month. As our plane touched down on the runway I looked out thorough the window, the entire airport looked as if lit up brightly with pure white light. As I alighted from the aircraft, through a step ladder; no aerobridge was provided by the airline on that day; I realised that the pure white light that I had imagined from the window of the aircraft was in reality harsh and blinding sunlight, making all of us sun blinded. With one hand near my forehead and another one pulling the hand baggage, I reached the arrival building, already feeling tired by the sunlight. A month before, when I had left from the same airport, though at slightly later time in the day, it was very hot with temperature hovering around 40 degrees. But that was the end of May and in any case, the weather was supposed to be hot. But now, in the beginning of July, when the weather in Pune is supposed to be cool and balmy, I was experiencing an unusual extended summer. It is not that this year's unusual kind of weather is something that has never happened before. 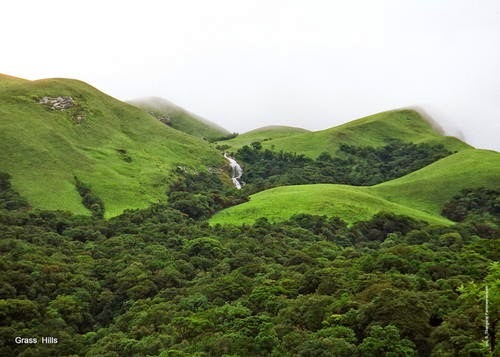 Vagaries of monsoon are very well known to everyone in India. I distinctly remember that in year 1992, entire months of June, July and first week of August went completely dry. The rains came after 9th August. 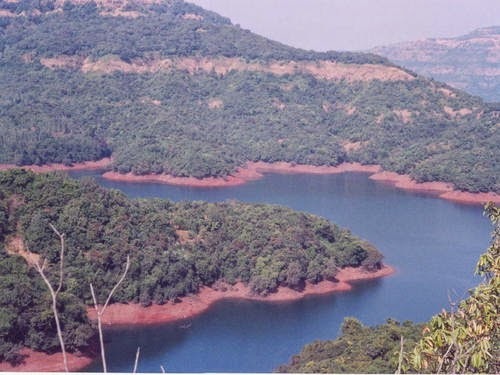 Perhaps, we are feeling the severity more this year, because of the fact that the drought is here after three or four years of plentiful monsoon rains. 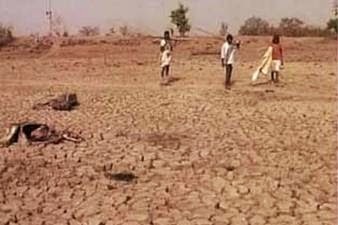 This is also the reason why every one is talking about the drought and that is why absence of rains is being felt by most of the people. This year, we have had ample forewarning. In the month of February 2014 itself, Australia’s Bureau of Meteorology had said that an El Niño weather pattern may occur in the coming months, parching Australia and parts of Asia while bringing rains to South America. Then again in April 2014, they came up with a report that said, El Nino is almost a certainty and predicted that the chance of an El Nino weather event developing in 2014 now exceeded 70 percent. El Nino phenomenon, that occurs roughly every three to five years, causes an unusual warming of the east equatorial Pacific and associated wind changes usually results in weak monsoons in India and is very crucial for the country. However at present, Australian weather bureau is continuing to stick to its earlier assessment of a September onset of El Nino. This could be considered as good news for India, because if it develops only by September, the monsoon in India may not be affected that much. But an earlier onset, may hit rains in the country. Indian weather bureau has already predicted 93% of normal rains for the June-September season. With month of June already gone, we still have a window of two months before El Nino develops as suggested by Australian weather bureau. There is a good chance that we may have rains over next two months and I wish that it happens, because if it does not, then consequences for western India are particularly likely to be very serious, Western India being entirely dependent on monsoon rains for drinking water and fodder for farm animals.